We'll be performing at the Levitt Pavilion in MacArthur Park, opening up for Havana Secret. Playing for the second time in the day of the dead celebration event in Santa Ana. Come join us in this free event! 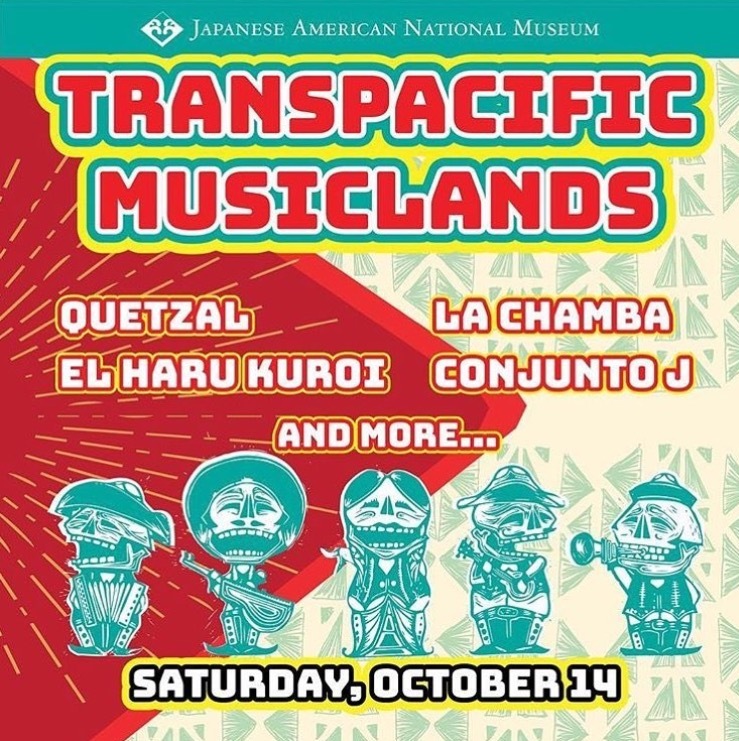 Join us at this free outdoor concert at the Japanese American National Museum in Little Tokyo, featuring Quetzal, La Chamba, El Haru Kuroi, Conjunto J from Japan, Maceo Hernandez of East La Taiko and Tex Nakamura, poets Luis J Rodriguez and Ruben Funkahauatl Guevara. DJ sets by Gomez Comes Alive and Shin Miyata. Food trucks & beer garden by Angel City Brewery. We'll be playing in the afternoon for Hispanic Heritage Month at the West Covina Library. Playing at the Eagle Rock Festival once again. A free festival of music and more! Headed to Oakland to play at Studio Grand, Friday June 2nd - 3234 Grand Ave, Oakland, Ca. Come to a free event at the Santa Monica Airport for their annual art walk. We will be there providing live music all day. 145 N. Raymond Ave. Playing three sets starting at 7pm. Free event for everyone! Join us at Tropico de Nopal for Doctors and Engineers EP release party! The Chicano Steel will take place on Sunday, October 2, from 12 to 6pm and will be held at Avenue 50 Studio. It will feature live drawing, enthusiastic spectators, food, drinks, and live music. This event shines a spotlight on the creative energy of our vibrant community. Guest curators are inviting over 60 visual artists to take part in this event. They will participate in three one-hour shifts with up to 20 artists drawing simultaneously each hour, and their work put up for sale immediately. Afterwards, the event and community will be celebrated by the featured musical performance. South LA Power Festival at Martin Luther King Jr. Park. LA County Arts Concert located in Whittier Ca.